An HVAC Maintenance Agreement is important because it SAVES MONEY. Our experience has shown that without a proper HVAC Maintenance Agreement, air conditioning and HVAC equipment will waste energy dollars and fail more frequently. These failures will stress other critical parts, eventually causing major repairs, resulting in EXPENSIVE premature replacements. This Energy Savings Agreement will help to keep your air conditioning equipment running at peak efficiency, providing better indoor HVAC air quality and HVAC air flow, thus creating a more productive work environment. With today’s constantly increasing energy costs, this level of performance will keep your energy costs as low as possible. Partnering with MCCALL’S QUALITY SERVICES’ indoor air quality experts, with our 18 years of experience, assures that work is completed correctly. 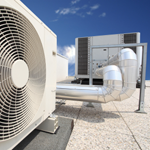 We use brand name parts whenever possible, and 90% of our HVAC service work is completed during the first visit. MCCALL’S QUALITY SERVICES also provides 24 hour service, 7 days a week! To find out more about what we offer and what we can do for you, give us a call today.